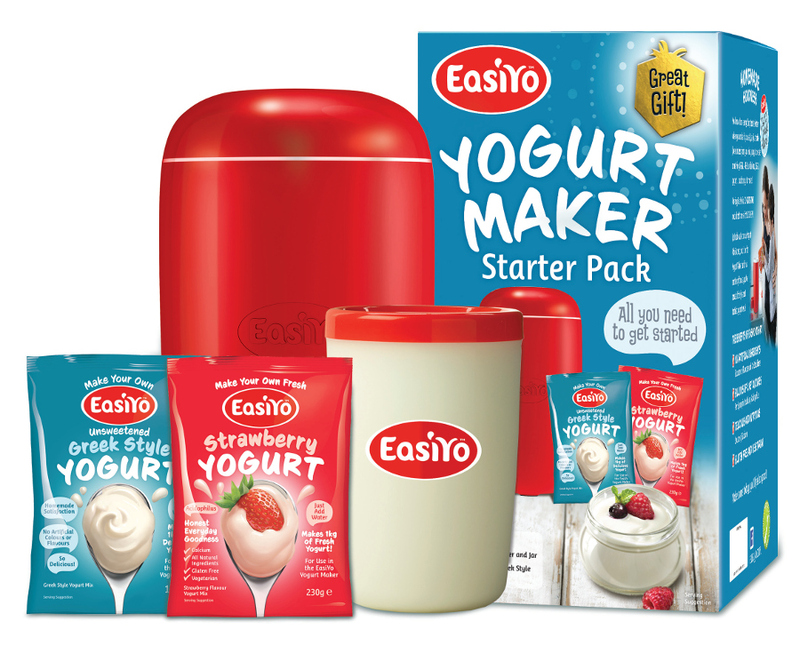 The EasiYo Starter Kit includes everything you need to get started making your own delicious yoghurt. Making your own yoghurt will be much cheaper in the long run and means you won’t be wasting the plastic packaging that yoghurts come in. 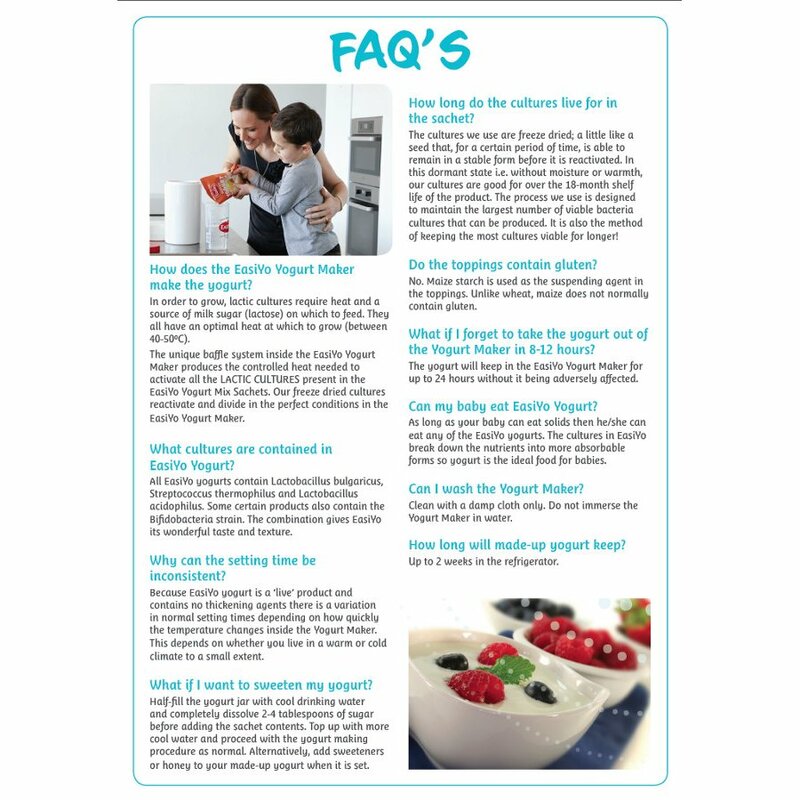 The Starter kit comes with a 1kg Jar and there are smaller reusable containers available for you to take your yoghurt to work or school for lunch time. 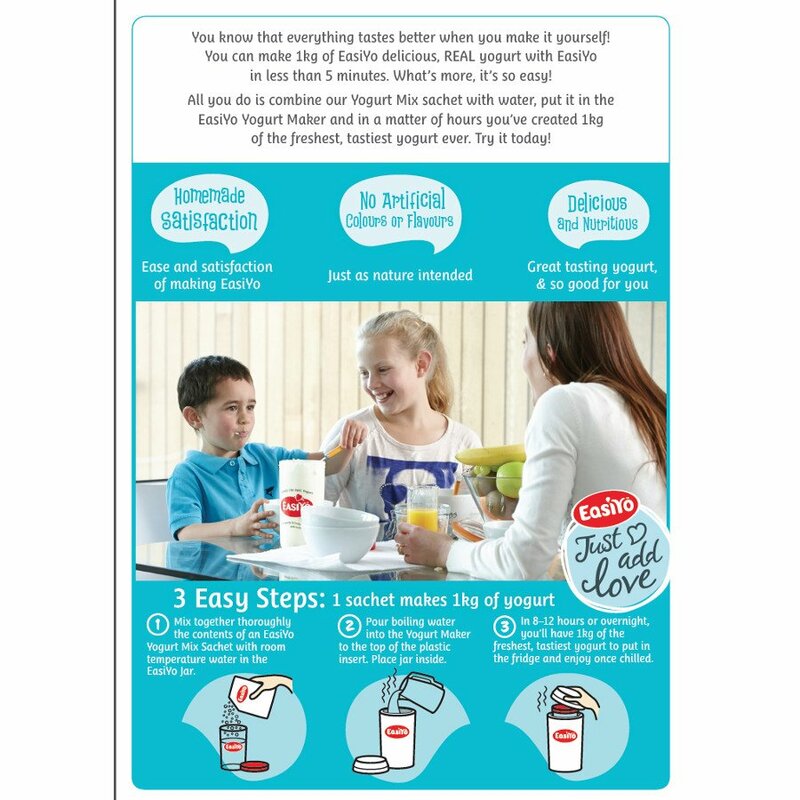 The Yoghurt maker and lunch takers are made with US and UK FDA approved polypropylene, completely free from polycarbonate, BPA and any form of anti-environmental hormones. 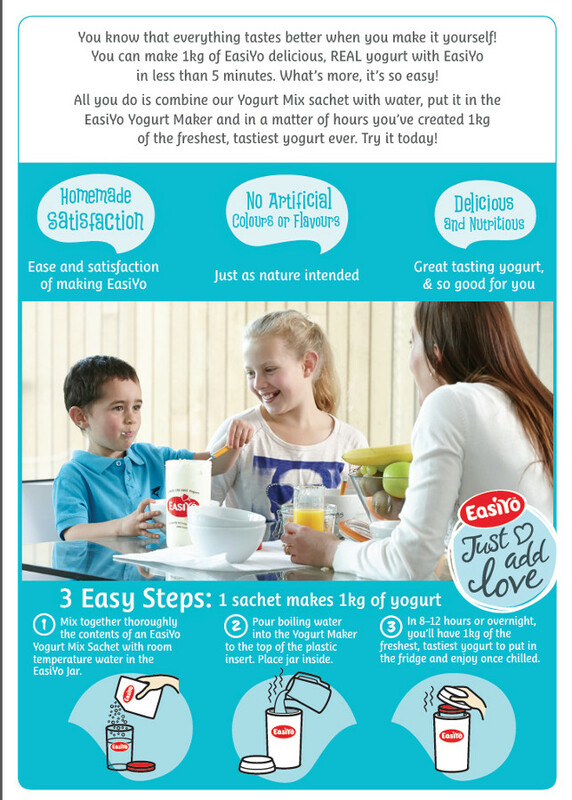 EasiYo makes a full litre of Yoghurt at a time, and it’s not bulky or electrical so you can take it anywhere! Greek Yoghurt: Pasteurised skim & whole milk solids (98%) from free range cows, (contains natural emulsifier, lecitin, derived from soybean), live lactic cultures (L bulgancus, S.thermophilus, L.acidophilus). Contains naturally occurring sugars. 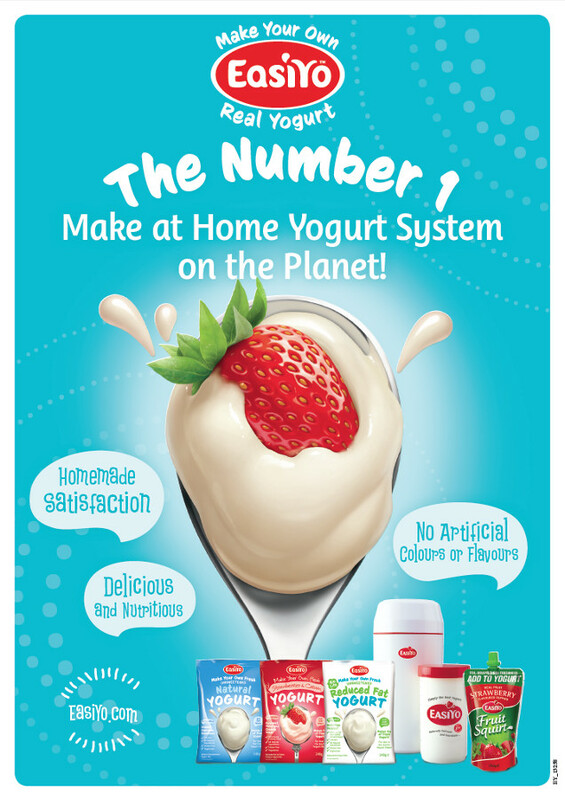 Strawberry Yoghurt: Whole and skim milk powder, 58%, (emulsifier (soy lecithin)), sugar, natural flavouring substance, live lactic cultures (L.bulgaricus, S.thermophilus, L.acidophilus), natural colour (beetroot red). The EasiYo Yoghurt Maker Starter Kit product ethics are indicated below. To learn more about these product ethics and to see related products, follow the links below. 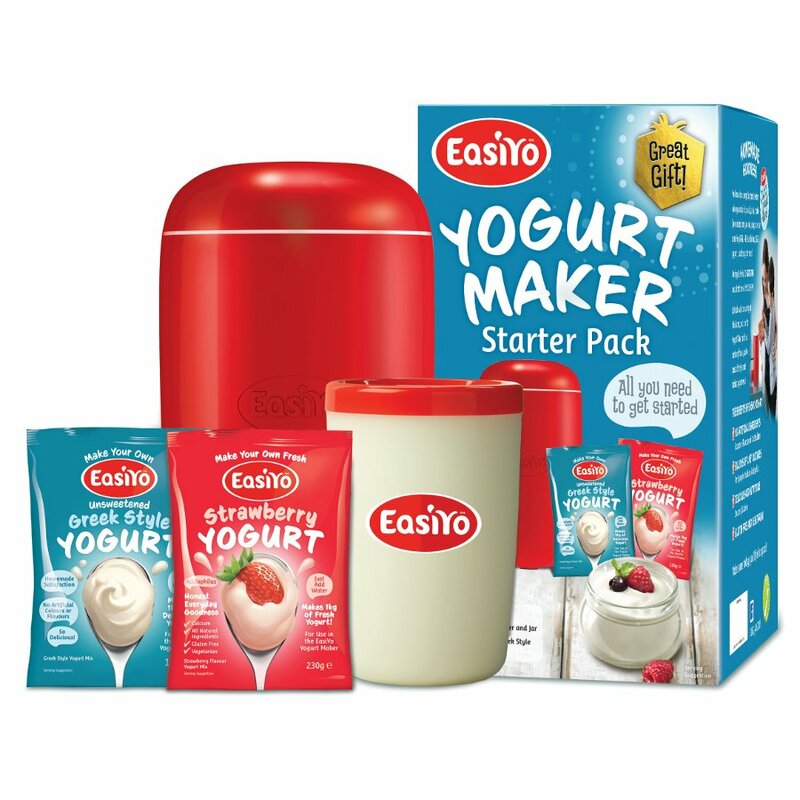 There are currently no questions to display about EasiYo Yoghurt Maker Starter Kit. Len Light created EasiYo yoghurt in 1982 when looking for delicious, freshly made yoghurt that wasn’t full of preservatives and hadn’t been sitting around in a supermarket for days. 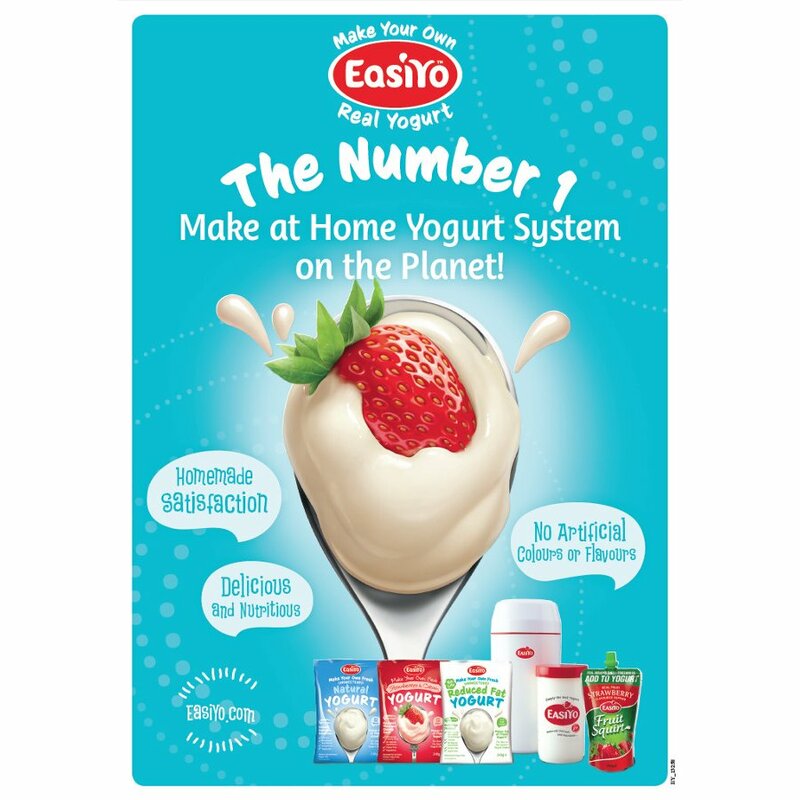 EasiYo is a three-step method to mouth-watering homemade yoghurt every time, and with a variety of flavours available you’re bound to find your favourite. Freshly-made EasiYo is abundantly rich in absorbable nutrients and live lactic cultures, and as these beneficial cultures have a limited lifetime, you can’t get fresher or better than EasiYo! Sustainability is at the core of the business and EasiYo now holds the CEMARS (Certified Emissions Measurement And Reduction Scheme) Certification for all powdered yoghurt sachets, ensuring action is taken to reduce greenhouse gas emissions generated for the lifecycle of the products.